Now, I’m not a big Disney Princess kind of gal. Yes Disney’s Princess Half Marathon is my favorite race and I’ve definitely lived up to my name (Sarah mean Princess afterall!) over the years. However I’ve never actually related to any of the Disney Princesses. Well that is until more recently…let’s find out who. 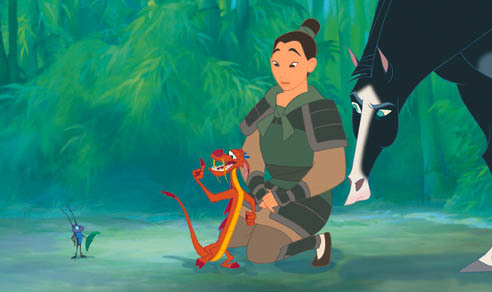 The main reason for this…Mulan isn’t actually a Princess at all! 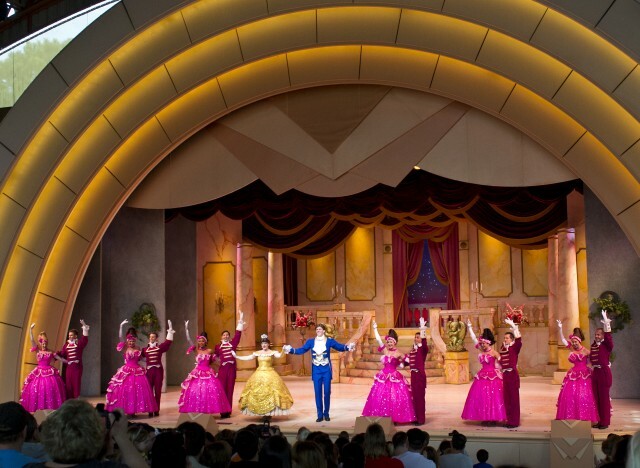 Snow White…the original Disney Princess. She’s adorable, quaint and has some quirky friends, but really…can she be more naive?! Girl…don’t take fruit from strangers!! And I mean, the dwarfs turned out to be ok, but that could’ve ended poorly as well. They may be small, but they out numbered her. I’d love to see a new Snow White…a stronger, more confident girl who doesn’t rely on Prince Charming to save her. Maybe something like Snow White in Once Upon A Time…she knows how to use a bow! All of the reasons why I want to refurb Snow White, are basically why I LOVE both Merida and Anna. 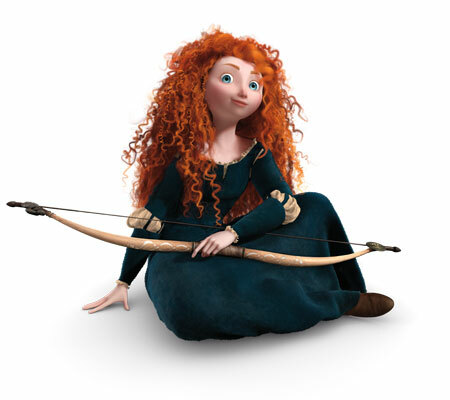 Let’s start with Merida…she don’t need no man! She is strong, confident and a badass with the bow! She butts heads with her mother (who doesn’t at times! ), but ultimately has a good heart and truly loves her family. 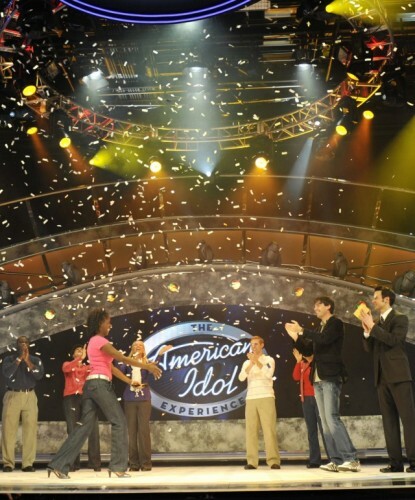 She has all of the struggles of young girls today in terms of family and equality, yet comes out triumphant in the end. She was such a wonderful addition to the Princess Court. 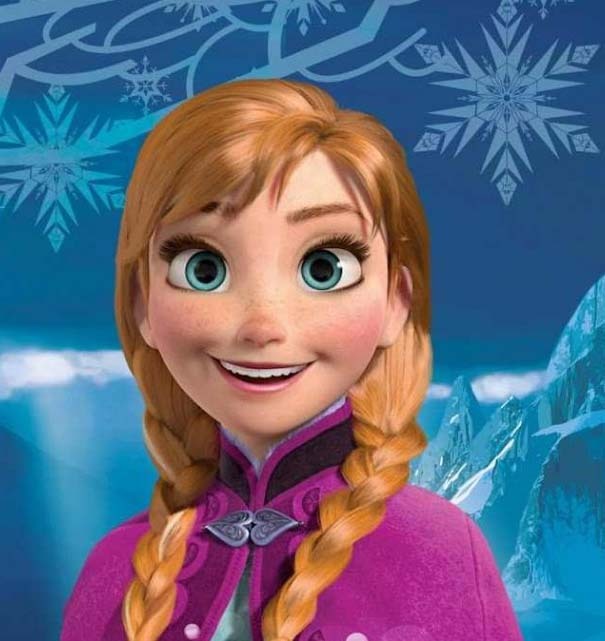 Anna…oh how I love Anna. So those are my choices…what about you? Which Disney Princesses would you Kill, Refurb & Marry?? 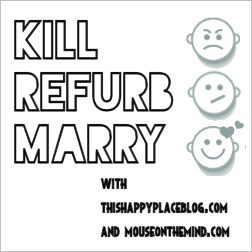 Make sure to visit This Happy Place Blog, Mouse on the Mind and all of the other great blogs participating in Kill, Refurb, Marry today! It’s time for another Kill, Refurb, Marry! This months topic is a bit strange (sorry Estelle!) because it’s very specific. It’s also something I’ve never thought much about…Animal Kingdom Drinks. 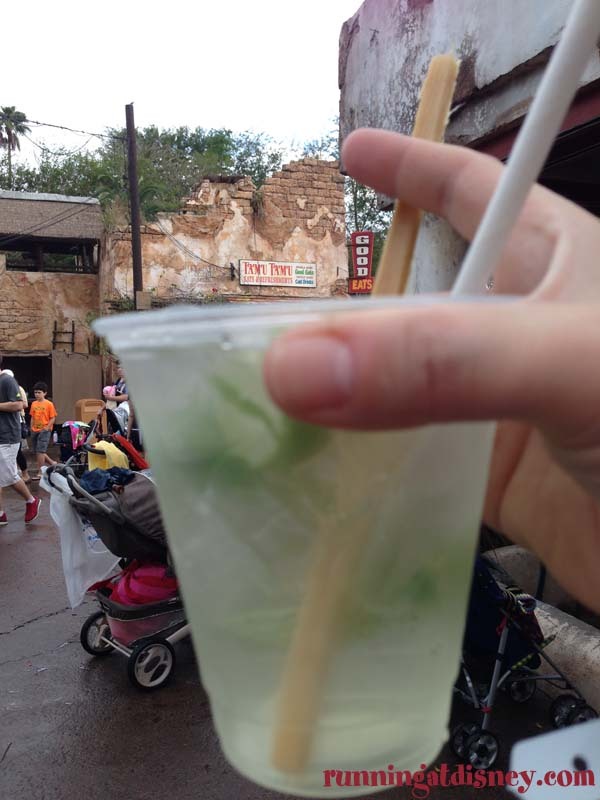 Now maybe a Grey Goose Slushe from France or even a Sidecar from the Carthay Circle Lounge from time to time, but never anything specific at Animal Kingdom. 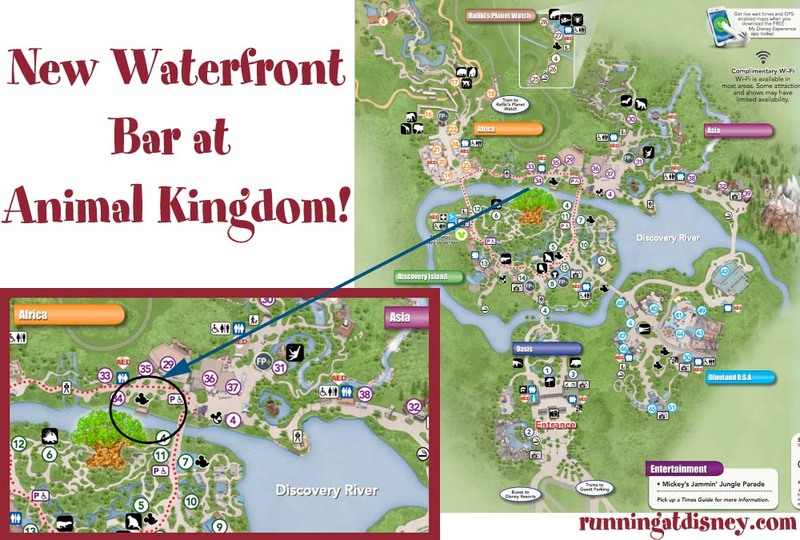 So I decided to get a little creative here and not only look at drinks at Animal Kingdom, but also the locations that those drinks can be found…let the safari begin! Kill Create – Dockside Drinks? There isn’t a drink that I can think of that should be removed completely, but there is definitely something that is needed. The area between Africa and Asia is a no man’s land. There is nothing to see or do, so why not have somewhere to stop an rest your weary legs?? How about transforming the old boat launch that is now used as a character meet and greet area into an awesome waterfront bar!?!?! Right?!? This is the perfect spot! And really…look at the view! This is a big WIN all around and I think we should start a petition to have construction begin immediately. 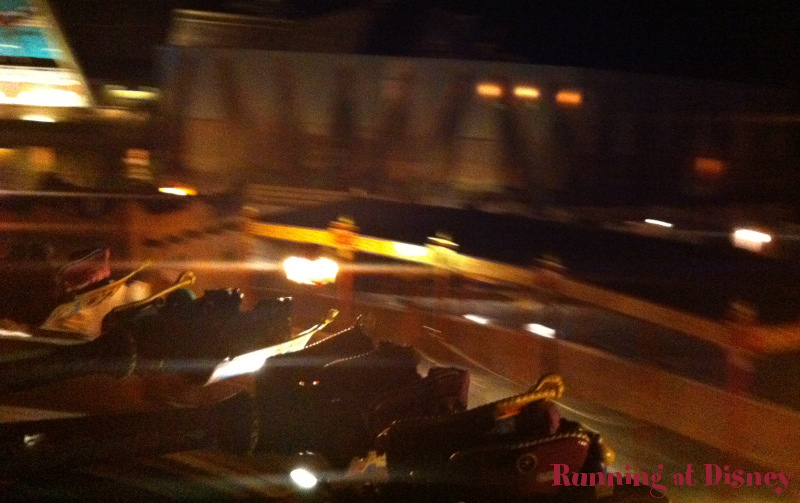 I LOVE the theming and details in Yak & Yeti, but the bar leaves something to be desired. Well and so do the drinks…especially the shaved ice martinis. I love the concept of this, but the flavors are horribly sugary and really, who wants a watered down martini??? 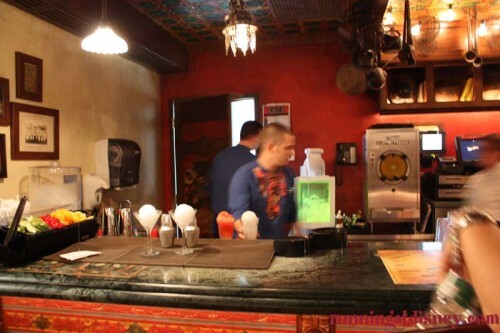 So I’m proposing some comfy bar stools and a revamped drink menu…maybe something with an Asian twist! 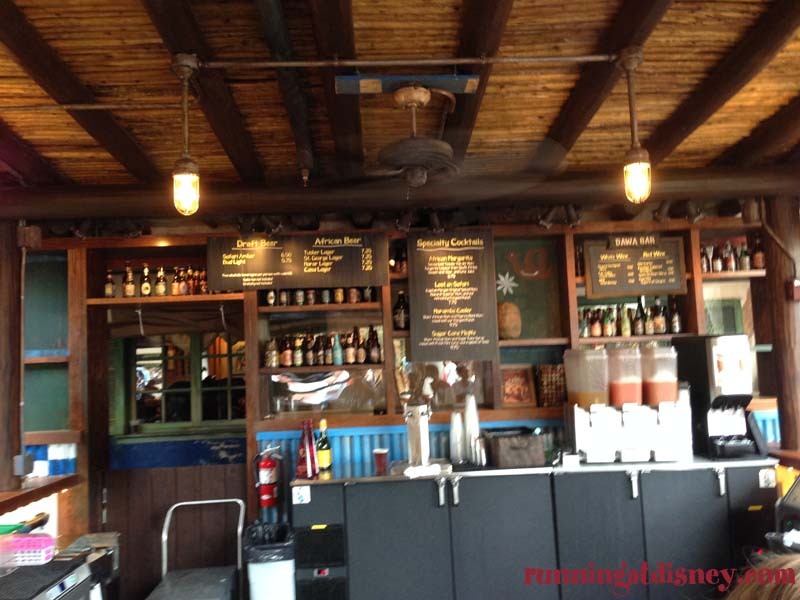 I really do love Dawa Bar! Well I love it when the temperature is moderate…not sure I would hang out here in July. But it’s still a great place to relax and have a nice cold beverage. It also allows for some great people watching in Harambe and if you’re lucky you will be able to catch one of the live performances right outside in the square. My favorite drink to get there is the Classic Mojito. They put tons of mint in it and event a giant sugar cane! So so so refreshing!! So those are my choices…what about you? 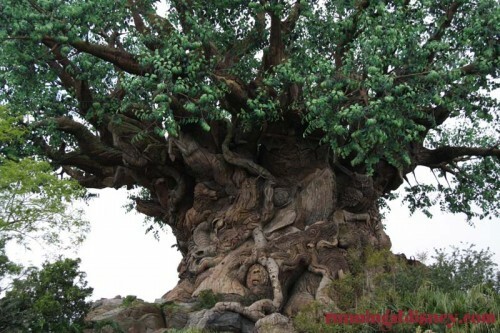 What Animal Kingdom Drinks would you Kill, Refurb & Marry?? What do you think of my waterfront bar concept?? It’s time for another Kill, Refurb, Marry! 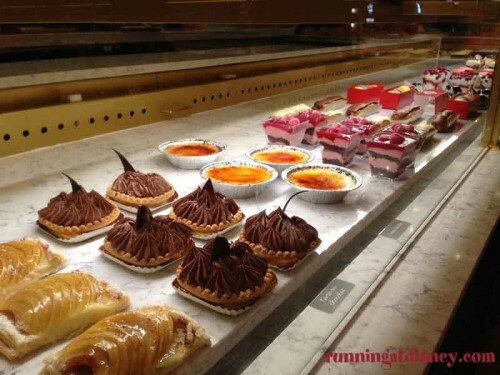 I’m excited about this month because we are talking about my favorite thing…FOOD! Yes, that is a huge topic when looking at all of Walt Disney World, so we are narrowing it down to World Showcase Counter Service Spots. Ooooh that’s a good one, right?! I love World Showcase for its diversity and the food really is the best part…you know how I love the Epcot International Food & Wine Festival 🙂 So let’s dive in! I don’t understand the Refreshment Port. It really seems to have no identity. The current menu consists of chicken nuggets, a soft serve waffle cone, croissant doughnut, and various beverages. 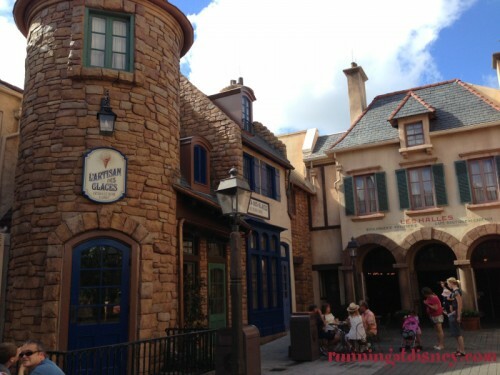 That’s a little random… If I was a newbie to WDW and walked past there, I would have no idea what they served. To me, refreshments are cool and well, refreshing. Chicken nuggets aren’t refreshing. This spot would be much better utilized as a character meet & greet area, or simply put some benches and tables down for people to rest their weary Epcot touring feet in the shade. I had a tough time deciding which location I would want to refurb, so I decided to go with two. First is La Cantina de San Angel. Yes, I know it went through a refurb not too long ago, but I wish it would’ve been just a bit better. The tacos are a great start, but they definitely leave something to be desired. And really, nacho cheese on the nachos? Come on… Plus, those red chips really freak me out. That color can’t be natural! Give us simple carnitas, real cheese and basic yellow corn tortilla chips! 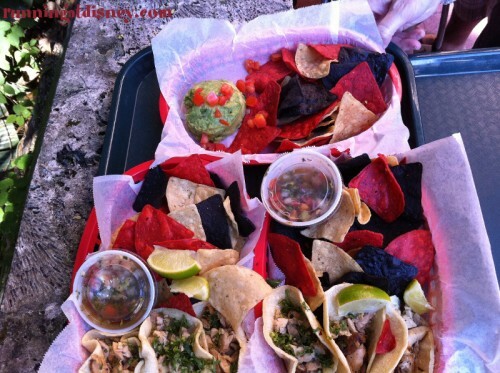 Give us a real taste of Mexico! And then there is Liberty Inn. This was a strong contender for Kill, but I think there is a real opportunity here to showcase some great American cuisine! American food should not be defined by a chili-cheese dog, chicken nuggets and a burger. Wouldn’t it be great if they could focus on local cuisine?! Maybe a combination of the Florida Local from the Food & Wine Festival and The Smokehouse from Flower & Garden. Sounds good right? Or maybe a dish from various regions of the US. There are so many options! 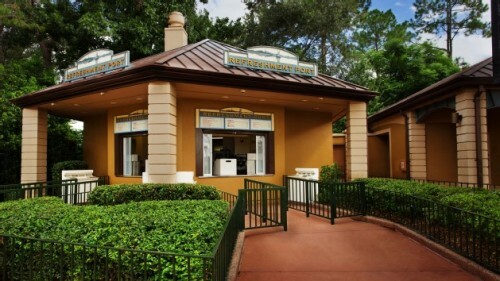 Now this is what all World Showcase Counter Service Spots should strive to be! First, the exterior is so incredibly inviting. You really escape into a small French village. But when you enter the building, it is spacious and more importantly smells delicious. There is a large variety of options from the basic croissant, to sandwiches, quiches, and the most delectable desserts. Good luck trying to pick just one thing! And if all of that isn’t enough, you can head over to L’Artisan des Glaces next door for some artisan ice cream or sorbet. You can even get an ice cream martini!! It really is the perfect place to grab a snack and take a break. So those are my choices…what about you? 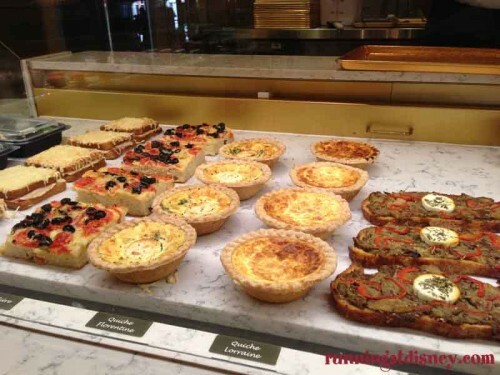 What World Showcase Counter Service Spots would you Kill, Refurb & Marry?? Make sure to visit This Happy Place Blog, Mouse on the Mind and all of the other great blogs participating in Kill, Refurb, Marry today! 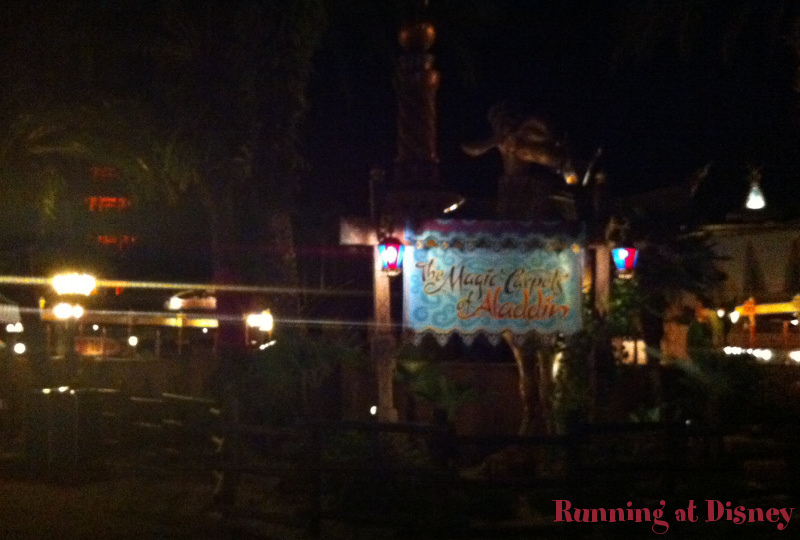 Now this might seems strange for me since Aladdin is one of my favorite movies and I seriously love those spitting camels the “greet” guests, but this attraction is in a HORRIBLE location. Adventureland used to be wide open. There was room to move around and enjoy your Dole Whip in peace! Ahhhh just look at all that space. 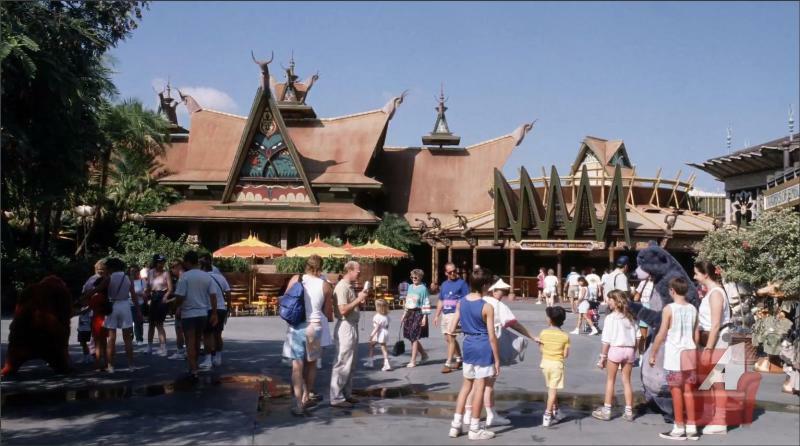 Now The Magic Carpets of Aladdin sits right in the middle of that space causing congestion, stroller traffic jams and frustration. 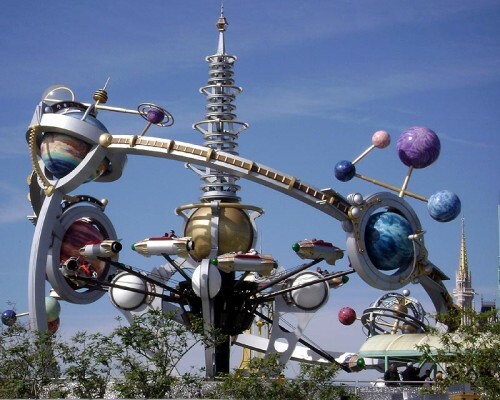 While the attraction itself is actually kind of fun, this needs to be moved. We want our space back! 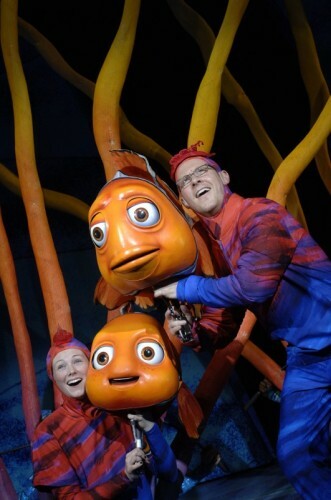 The worst thing about this attraction is the queue. I probably haven’t ridden this in over 25 years because those rickety elevators are the things nightmares are made of. Not only do they look like a death trap stuffed with sweaty park guests, they are an inefficient way to move the line. This leads to a backup even on the slowest days. The attraction itself provides a wonderful view of Tomorrowland and I’ve heard it’s a great spot to catch the fireworks. Let’s just come up with a better queue system people. 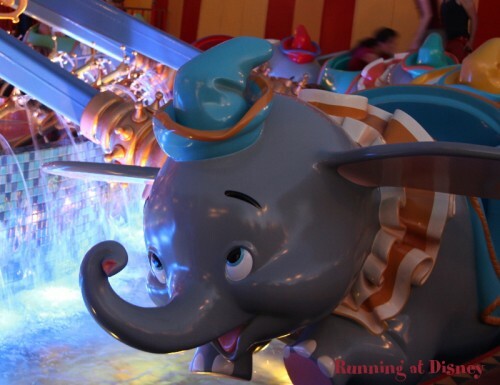 Dumbo is a CLASSIC Disney attraction and since it has been moved to Storybook Circus in Fantasyland, it’s even better. First of all, there are now 2 spinners so the wait times are definitely more manageable. Second, the attraction is beyond beautiful. 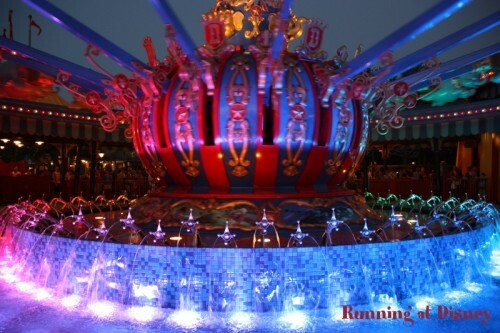 The redesign includes a water feature, lights, etc… It’s stunning. Never change Dumbo! Now it’s time for you to play along! 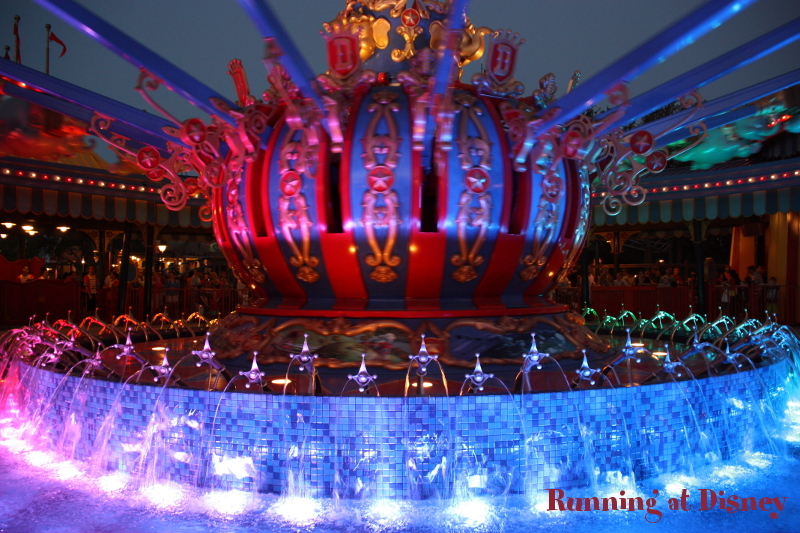 What are your choices for aerial spinner rides to Kill, Refurb, Marry?? Make sure to check out some of the other posts from the Kill, Refurb, Marry Blog Hop!